I'm attaching some photos of my DTQWT speakers. I've had them completed for about 6 months and can not stop listening to them. 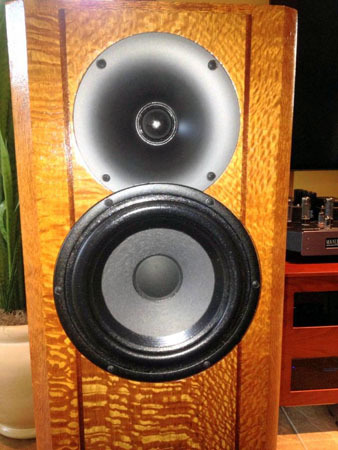 From day one they sounded unbelievable but now after several months of break in the bottom end has really come in. I believe those 10" rears really need to be excercised hard before they really start to contribute but your JA 8008 has sounded incredible from the start. As you've stated the vocal reproductions are amazing. 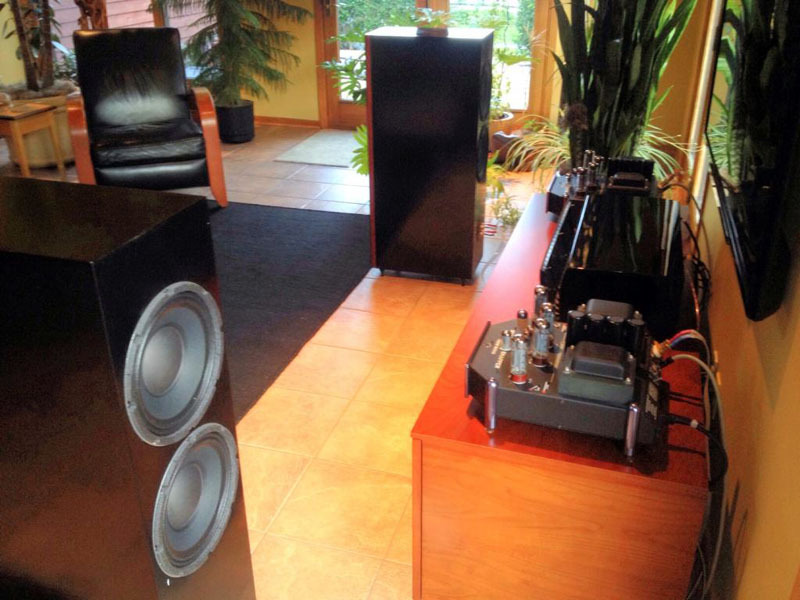 I power the speakers with a pair of Manley 100w mono blocks running winged C el34 tubes. Although the speaker wasn't designed for this power they seem to match to my amps fantastically. We've enjoyed many evenings listening to quite a variety of music and the system never disappoints. I built the cabinets and did the assemble but had an audiophile friend help with assembling the crossovers. He was a little skeptical about the design but when he finally got to listen for an evening he left in total amazement. 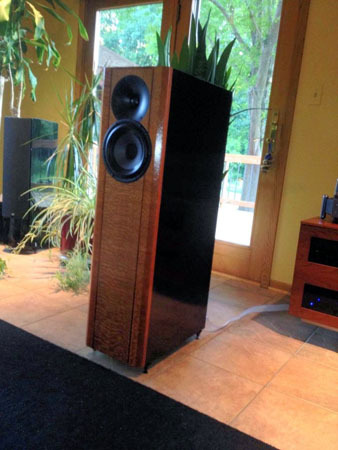 These speakers can play softly or at incredible pounding volumes. 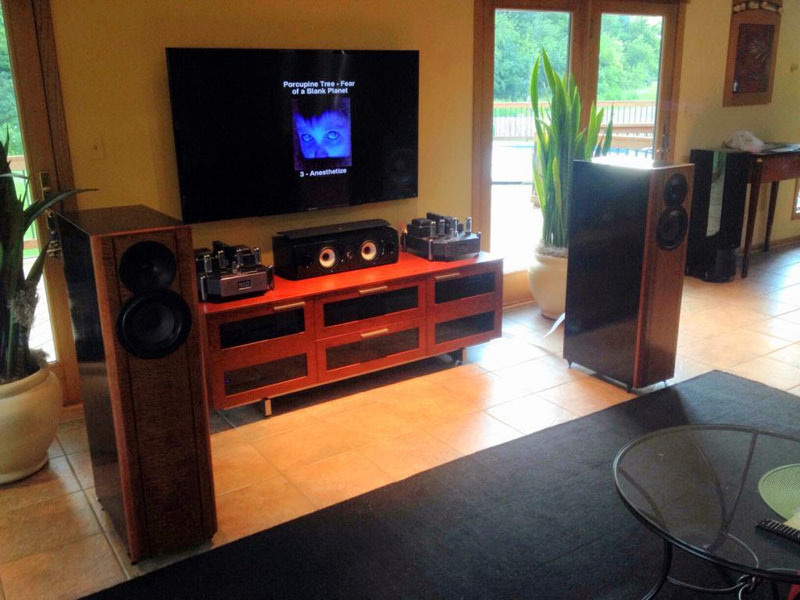 I play these in a rather large 20x30' room but they seem to fill it quite well, there is certainly a sweet listening position but the entire room looses very little no matter where you sit which is great for large gatherings. Imaging is very detailed and magical. I simply have no regrets with this project. 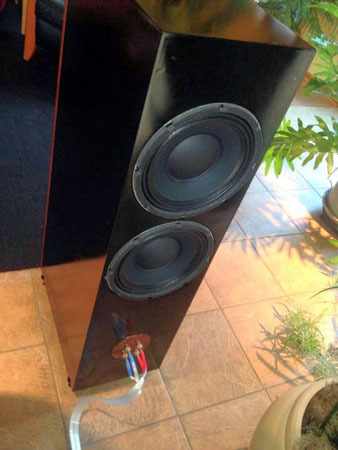 I'd like to work these into my 5.1 system and I'm trying to talk my wife into letting me build your matching center channel but it is rather large so I'm getting resistance. Amazingly she allows me to place the mains away from the wall because they are quite elegant and as visually appealing as they sound. The wood I used for the front baffles is Lacewood, this was actually left over from some furniture builds I had done 10 years ago so I was finally able to use this beautiful material for something special and now the speakers match the other furnishings in our living room.